When a newsletter arrived in my inbox last weekend, the title stood out straight away. It was called ‘Wisdom for Having Successful Failures’. Those words create an immediate and vivid picture of the energy throughout this year. It has mostly been a period of restriction where nothing new could be created. In hindsight, we can see the mechanics of it all, even pinpoint the timing as to when the flow slowed and at times, even felt as if it was beginning to slip backwards into deep and at times, unwelcome darkness. But on the other side of September, we are given a new perspective. As the infusion of higher energies settles, a distinct shift has taken place and is enlightening our beings with waves of illumination emerging through the fusion of body and light. It hasn’t been a failure. We weren’t doing anything wrong. Yes we lost part of ourselves but only those old and no longer needed parts that were blocking our progress. 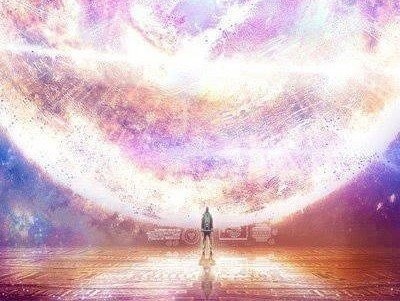 Over the past few months we were being prepared for a new existence that can only materialize when those elements that were blocking its emergence are removed. In the peaks of the euphoric energy that is filtering through now, realizations and revelations abound as new stories open up. New possibilities become tangible. Change becomes physical. Wisdom tells us we have been and are being realigned. Merging with our soul essence in deeper and more expansive ways. Embodying within our Hearts the truth of our own existence, the purpose of our journey and the knowing that our core passion is the power that will light up the way ahead. As the distortions fall away, our perceptions are transformed. We see what’s in front of us with new vision. We understand this new energy is bringing forth the support needed in the form of right timing, right connections. Standing before the vastness of what could be, we realize perspective is everything. It’s not what is or isn’t there but how we see it as we take each step, deeper and deeper into this life and experience it, moment to moment.